This is a sample entry from Tom Dosdall’s newsletter, Technical Ag Knowledge, published on Wednesday, November 30, 2016. 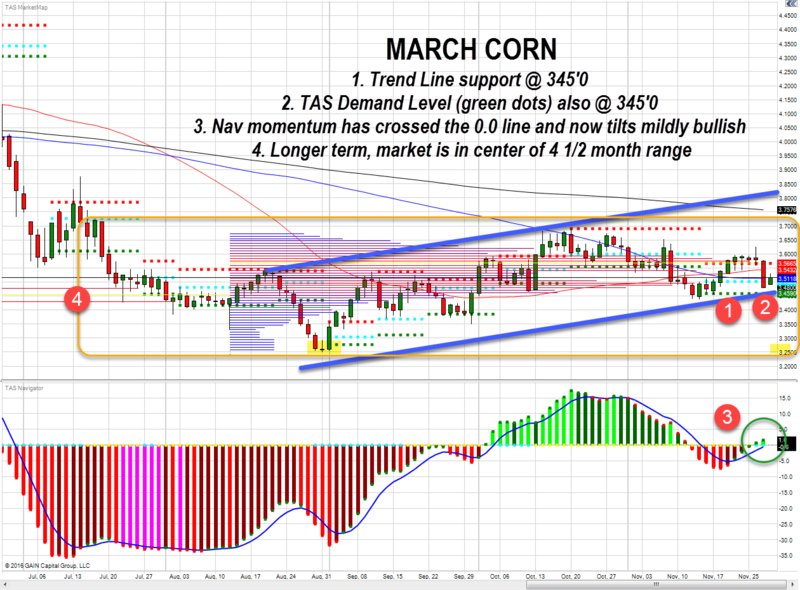 Take note of these four technical notes on the March chart. In my opinion, producers with bushels in storage should take note of bullet point 4 and consider talking to us about market neutral strategies with the potential to collect option premium. We have been talking about this for weeks and the story has not yet changed. Short term futures traders with more of a risk appetite should take note of bullet points 1-3.